This is an original, high reliability Valvo SQ E80LL Dual Power Pentode electronic tube. This 10,000 hours certified, high reliability, shock and vibration resistant industrial tube is designed for AF [Audio Frequency] amplifier, oscillator use. 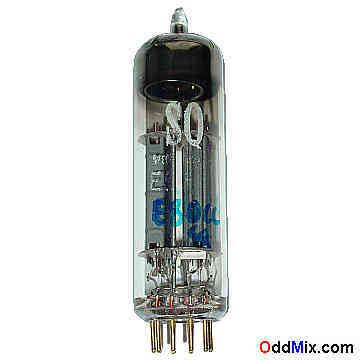 Excellent part for replacement, antique radio, instrument or television restoration, circuit research, experimentation. It is a NOS tube - New Old Stock, excellent condition.